As the number one physical therapy program in the nation, the USC Division of Biokinesiology and Physical Therapy carries the responsibility of being a leader in the profession. Our mission to enhance the quality of life and health of all people leads us to develop solutions to advance physical therapy education, science and practice. With your support and participation, we are transforming healthcare by creating the future in physical therapy. To excel as a learning community, we determine to connect individuals with one another and to the world. USC physical therapy is making the bold step to offer one of the nation’s first online/on-campus hybrid programs, known as DPT@USC. While the program will also generate new resources to enrich the Division as a whole, we are excited about providing a new pathway to connect future students with world-class faculty in the Division. Extending this opportunity to future Trojans around the world is one piece of a vision to advance physical therapy education by quantum leaps through the use of technology and innovative educational practices. The Division’s innovative educational models prepare USC PT graduates to be expert practitioners in a dynamic healthcare environment. 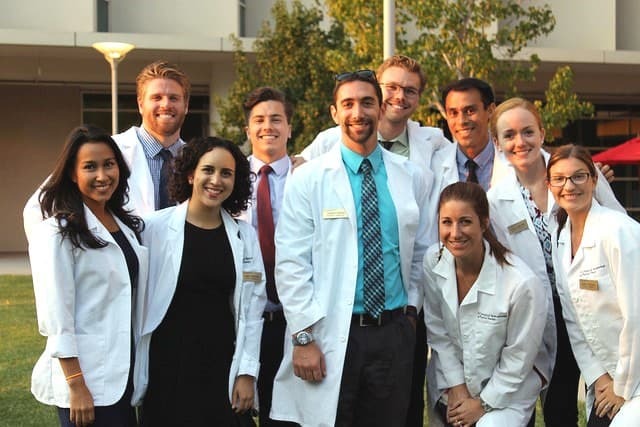 USC physical therapy admits talented students every year who are committed to excellence, service and advocacy for patients and the profession’s future. As part of our commitment to keeping the value of our educational programs high, the Division aims to provide scholarships and grants to offset student costs and enable them to devote energy to activities that build leadership skills. DPT student groups bring professional issues to the forefront by meeting with elected officials each year to advocate for patients and physical therapists. 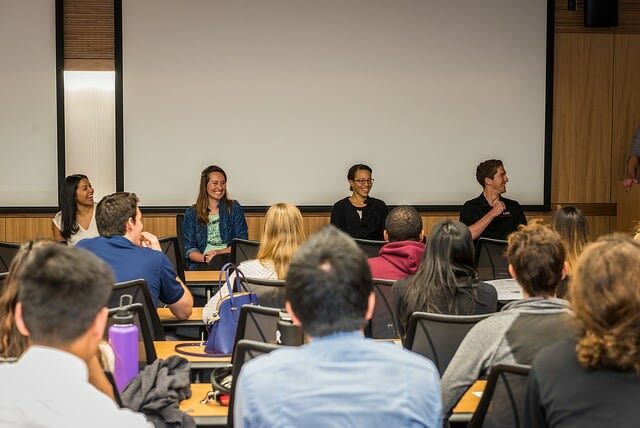 USC students engage with peers and professionals at events like the National Physical Therapy Advocacy Dinner, held at USC earlier this year to offer a forum for discussing the impact they can have on patients and the profession. PT students also connect with local and global community outreach initiatives that promote valuable hands-on learning experiences and assist underserved communities. 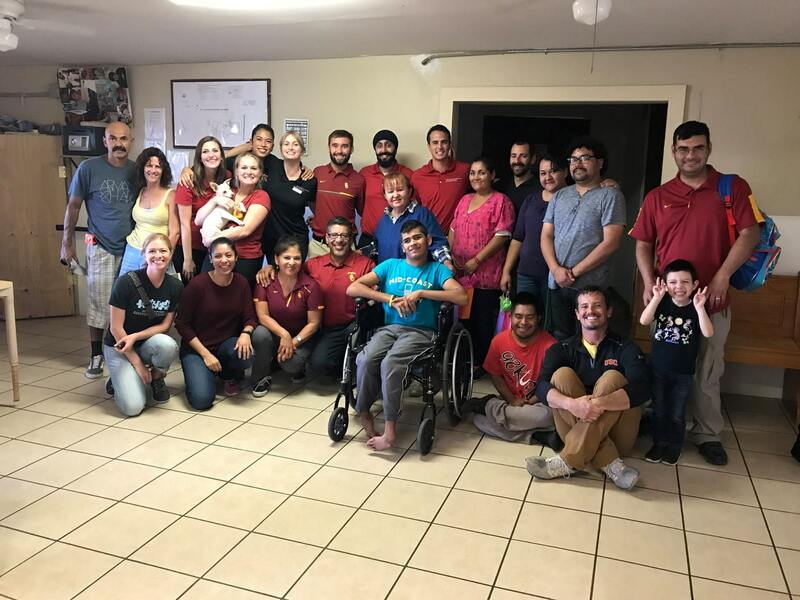 Among other diverse service-learning opportunities in the Division, USC PT students and faculty members travel to provide free physical therapy to children with disabilities residing at Gabriel House, an orphanage in Ensenada, Mexico. Students also teach caregivers range of motion exercises and positioning, safe transfer techniques and how to adapt wheelchairs and walkers. A group of second and third year DPT students traveled to work with children and caregivers at Gabriel House in Ensenada, Mexico for a cherished service-learning experience. The Division’s excellence derives from our strength in education, research and clinical service. The ultimate goal of our research activities is to translate theory into action as we discover new knowledge that transforms the practice of physical therapy. Researchers are engaging in exciting initiatives across the division to address major health problems, including diseases like cancer, obesity and diabetes, developmental disability and long-term disability resulting from stroke and chronic pain. One study led by Assistant Professor Sook-Lei Liew is exploring how a virtual reality brain-computer interface can be used to treat stroke survivors, activating the brain regions necessary for arm and hand motion when patients use their limbs in a virtual environment. This kind of rehabilitation can have a lasting effect by helping stroke survivors regain the skills needed to move their hands in the real world. 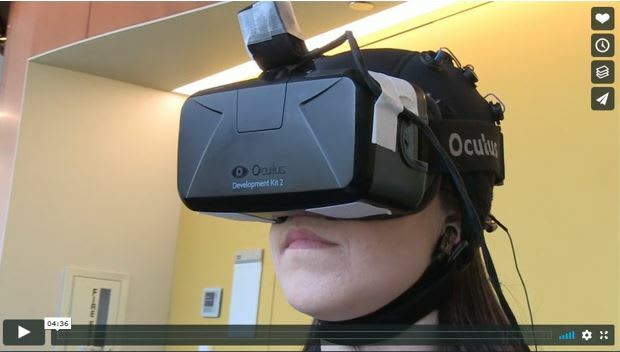 Step into the world of virtual reality rehab, where Professor Sook Lei-Liew is connecting stroke survivors with the worlds of tech and medicine. We live in an era of unprecedented opportunities and the USC Division of Biokinesiology and Physical Therapy has created a unique and powerful community of faculty, students, staff, patients, and supporters to meet the challenge of transforming physical therapy. Your gift will make it possible for our students to achieve their professional goals, drive cutting-edge research and transform PT practice to positively impact population health. We invite you to partner with us today to educate the next leaders in physical therapy and extend quality care to our communities. Every gift makes a difference, no matter the amount. Thank you for supporting the Division, and Fight On!